Dr Atis Elsts is a researcher at the Institute of Electronics and Computer Science (EDI) and a Honorary Senior Research Associate at the University of Bristol, UK. His research interests are in the field of Networked Embedded Systems, and more broadly, the Internet of Things. He has authored and co-authored more than 40 scientific publications in these fields. Since December 2018, Atis is working on energy efficient machine-learning and networking for wearable devices in his postdoctoral research project FEATURE - Energy-eFficient hEAlTh and behavioUR monitoring with wEarable devices and the IoT. Atis is also a contributor and a maintainer of the Contiki-NG operating system for IoT, and a member of IEEE. I'm looking for enthusiastic students interested in embedded software development and research. I'm offering supervision for undergraduate and master thesis projects. The best option is to conduct your work on site at the Institute of Electronics and Computer Science (EDI) in Riga, Latvia, but alternatives may be possible. IEEE 802.15.4 TSCH protocol for low-power wireless networks - scheduling and other aspects. Bluetooth Low Energy (BLE) protocol low-power wireless networks - experimental evaluation, dependability under interference, and other aspects. Research in cryptocurrencies and other Distributed Ledger Technologies - for example, their applications in IoT, or experimental evaluation of existing implementations and protocols. Human activity recognition using wearable sensors. Human activity recognition using infrastructure sensors, for example, stationary WiFi or IEEE 802.15.4 devices. On the SPHERE project (smart homes for healthcare): on the low-power wireless infrastructure for the 100-homes deployment, on lessons learned from using the Contiki OS, on feature extraction on wearables for daily activity recognition of the participants. On the Time Slotted Channel Hopping (TSCH) network protocol: mobility in TSCH, TSCH for Contiki, channel selection, scheduling, simulation, the TSCH implementation on CC2650, and time synchronization using TSCH (1) (2). Microsecond-accuracy time synchronization implementation using TSCH on Texas Instruments CC2650 hardware. Smart Home Architect, a web-based game that interactively demonstrates the SPHERE technology. Research Associate in Internet of Things Networking at the University of Bristol and a core member of the SPHERE interdisciplinary research collaboration (IRC). Researcher at SICS Swedish ICT (now RISE SICS), 2015. Atis was a member of the Networked Embedded Systems Group and participated in implementing the IEEE 802.15.4 TSCH protocol in the Contiki operating system. Researcher at Uppsala University, 2014-2015. Atis was involved in the ProFuN project (A Programming Platform for Future Wireless Sensor Networks), where his contribution was the ProFuN TG, a tool for developing and managing sensor network applications that are aware of performance requirements. Research assistant at the Institute of Electronics and Computer Science (IECS or EDI, Riga, Latvia), 2010-2013, and PhD student at University of Latvia. Atis' PhD thesis describes a software framework designed to facilitate wireless sensor network programming. A. Elsts, A. Mednis and L. Selavo. Bayesian Network Approach to Vehicle Mode Monitoring Using Embedded System with 3-axis Accelerometer, International Journal of Imaging & Robotics (ISSN 2231-525X), Vol 13(1), 2014. G. Strazdins, A. Elsts, K. Nesenbergs and L. Selavo. Wireless sensor network operating system design rules based on real-world deployment survey, Journal of Sensor and Actuator Networks, Vol 2(3), pp. 509-556, 2013. X. Fafoutis, A. Elsts, G. Oikonomou, and R. Piechocki. SPHERE deployment manager: a tool for deploying IoT sensor networks at large scale. In Proceedings of the 7th International Conference on Ad Hoc Networks and Wireless (AdHoc-NOW), St. Malo, France, September 2018. A. Vafeas, A. Elsts, J. Pope, X. Fafoutis, G. Oikonomou, R. Piechocki and I. Craddock. Energy-Efficient, Noninvasive Water Flow Sensor. In Proceedings of 4th IEEE International Conference on Smart Computing (SMARTCOMP), Taormina, Italy, June 2018. J. Pope, A. Vafeas, A. Elsts, G. Oikonomou, R. Piechocki, I. Craddock. An Accelerometer Lossless Compression Algorithm and Energy Analysis for IoT Devices, IoT-Health 2018, IEEE Wireless Communications and Networking Conference Workshops (WCNCW). X. Fafoutis, A. Elsts, G. Oikonomou, R. Piechocki and I. Craddock. Adaptive Static Scheduling in IEEE 802.15.4 TSCH Networks, 2018 IEEE 4th World Forum on Internet of Things (WF-IoT). X. Fafoutis, L. Marchegiani, A. Elsts, J. Pope, R. Piechocki and I. Craddock. Extending the Battery Lifetime of Wearable Sensors with Embedded Machine Learning, 2018 IEEE 4th World Forum on Internet of Things (WF-IoT). P. Woznowski, A. Burrows, T. Diethe, X. Fafoutis, J. Hall, S. Hannuna, M. Camplani, N. Twomey, M. Kozlowski, B. Tan, N. Zhu, A. Elsts, A. Vafeas, A. Paiement, L. Tao, M. Mirmehdi, T. Burghardt, D. Damen, P. Flach, R. Piechocki, I. Craddock and G. Oikonomou. SPHERE: A Sensor Platform for Healthcare in a Residential Environment. In Designing, Developing, and Facilitating Smart Cities: Urban Design to IoT Solutions, pp 315-333, Springer, 2017. A. Elsts, F. Hassani Bijarbooneh, M. Jacobsson, and K. Sagonas, ProFuN TG: Programming Sensornets with Task Graphs for Increased Reliability and Energy-Efficiency. Accepted in IEEE Local Computer Networks (LCN 2015) Demo session. 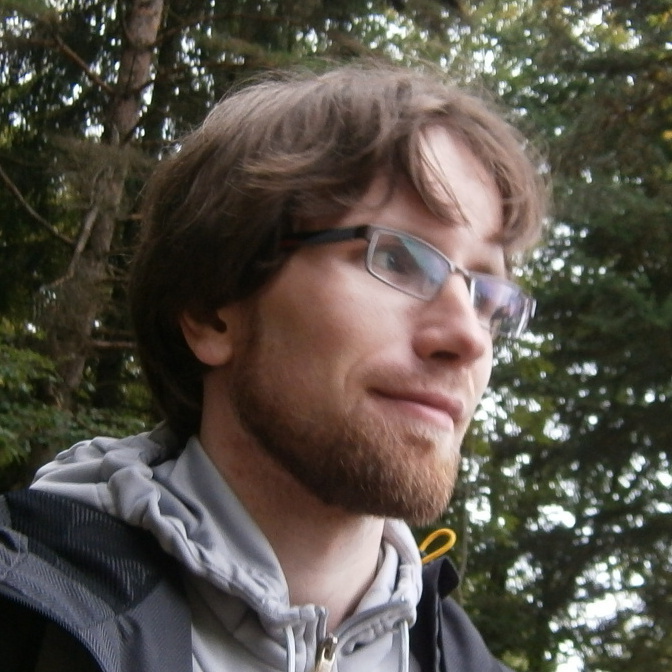 A. Elsts, Optimal Task Allocation in Sensor and Actuator Networks, SNCNW'15, Karlstad, May 28-29, 2015. A. Elsts, F. Hassani Bijarbooneh, M. Jacobsson, and K. Sagonas, Demo Abstract: ProFuN TG: A Tool Using Abstract Task Graphs to Facilitate the Development, Deployment and Maintenance of Wireless Sensor Network Applications, in the 12th European Conference on Wireless Sensor Networks (EWSN'15), Porto, Portugal, 2015. A. Elsts and E. Ngai, A Case For Node-Local Adaptations in Wireless Sensor Networks, SNCNW'14, Västerås, June 2-3, 2014. J. Judvaitis, A. Elsts, L. Selavo, Demo Abstract: SEAL-Blockly: Sensor Network Visual Programming Using a Web Browser, 10th European Conference on Wireless Sensor Networks (EWSN 2013), Poster and Demo Proceedings, Ghent, Belgium, 2013. A. Elsts, J. Judvaitis, L. Selavo, Poster Abstract: SEAL: An Easy-to-use Sensor Node Application Development System, 9th European Conference on Wireless Sensor Networks (EWSN 2012), Poster and Demo Proceedings, pp. 31-32, Trento, Italy, 2012. Undergraduate thesis supervision for 3 students on wireless sensor network topics. Master thesis review (i.e. de facto partial supervision in the Swedish system) for 2 students. Internship supervision for multiple students at the University of Bristol and IECS. Also see my Publons profile. Available for consulting in Internet of Things, including: system implementations in embedded C, low-power wireless protocols, consulting and code development using Contiki-NG. Rate: 50 EUR per hour (negotiable).